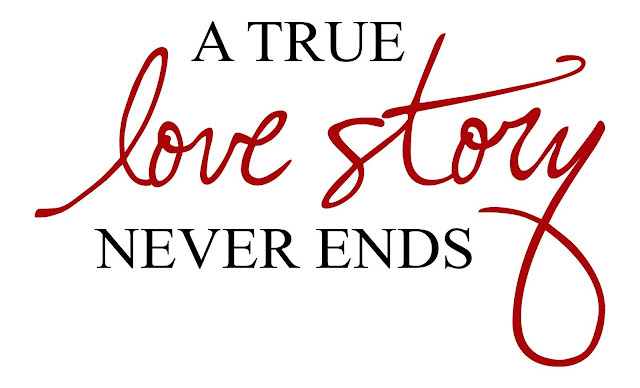 If you would like to read real-life love story and also share your real-life love story then you are the right place. Here I am going to share some real-life love story that really touches your heart. So read and Enjoy. Anurag is a simple boy. His father is a farmer. Now Anurag passed the metric exam. He wanted to admit in college. So he goes to admit in college in town. He begins to study. He joined three coaching classes. So he needs 3000 rupees per month. He demands money on time and his father completes his wish on time. Anurag tough a girl who was the daughter of building’s master. Her name was Kiran. She read in class matric. She was a very beautiful girl. She spoke less. began love as their son because they had no son. Kiran was the only daughter of them so they loved her too much and do as she says. In this way, two years have passed quickly. Anurag and Kiran were to appear their exam. Both passed the exam with 1st division. Both were very happy. Their parent also becomes glad about their performance. Meanwhile, study, Kiran began to love Anurag by heart and soul. But she never told anything about his love. Also, Anurag did not know this. So he never thought to love her. One day a letter came from Anurag’s home. His father called him back home now. Because he wanted to get married, Anurag. So he told all matter Kiran’s mother and told her to come back after five days. It was evening so Kiran studies her homework in her room so she heard all matter of Anurag. She became senseless for a few minutes to think that what happened in my life. She began to weep bitterly. But she controlled over herself anyway. All night she went on thinking about her love what to do now me. Next day Anurag began to go home. Kiran was standing on the gate so she saw him going home then she looked him full of tears and began to weep. Anurag asked her what matter is, tell me. She told nothing and she entered home. Anurag understood all things but what can he do now. So he went there sadly and began thinking about Kiran’s love. On the other hand, Anurag’s fathers lend 100000 to maintain his study from his friend. In spite of this, he promises to get married his daughter Punam to Anurag. But he did never refer it with Anurag. So he wants to get married Anurag now because Punam wants to marry as soon as. Here Kiran gives up eating and only weeping. She was not telling anything to anybody. Her mother understood her too much and made a promise to her that, what she like they will do so as like she wants. Then she spoke sobbing her mother. I am a very sorry mom. I began to love Anurag too much. I cannot live without him. I never told anything about my love to anybody until here Anurag. I don’t want to Miss Anurag. But what can I do now? If I don’t marry Anurag I would die. Mother understood her and said, I will tell your father to go to Anurag’s home. Don’t worry now and have some food before. My dear, love is not a bad thing. It is much precious than anything in the world. To get true love is rare in this world. I know Anurag also love you too much. He is a sensible boy so he never rejects you. I am full faith on him that he might accept you. At night her mother said all thing her father about the love of Kiran. She requested him to go to Anurag’s village and talk to Anurag’s father about Kiran’ s wedding. Next day her father went to Anurag’s home. He told all things about his daughter and request to get married. He said that I had only one daughter. I love her too much. So I will give all the things what you said. But please don’t reject my Kiran. 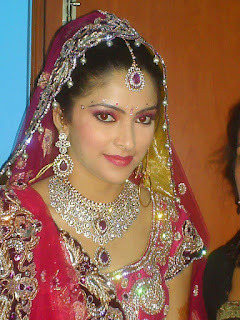 Kiran is a sensible, beautiful and sincere girl. If you reject my lovely daughter, she would suicide one day. Anurag’s father was in very suspense. But he said all things about his problems. He said that I don’t reject your purpose but give me some time to decide with my family. So you don’t lose heart I will send you a message as soon as. So he went to go back home. Her mother asked him what happened there. He told all things and said that he give some time to me and tell us some things after some days. Kiran was very upset. She was repeating herself. At evening Anurag’s father calls all family and decide what to do now us. He said I am in very confusion. I don’t see what to do now. I promise to get marriage Punam because her father gave me money on time. On the other hand, Kiran will not live without Anurag. In this time what to do? I always give advice to other men in suspense but now I am unable to decide. Anurag told his father don’t lose heart. You are a great man. I respect you. You believe in God. So now, God will decide true. But you have mistaken one thing that you never tell me about this matter. But God always does well. So we should not think too much. I have one idea that you say all things to Punam’s father and Kiran’s father and said them that they told all things about you to their daughter. One thing more they also said their daughter to write a letter to you and said her wish that what do both think about you. After writing a letter we will decide what to do now on the basis of the letter. Anurag’s father agreed to this and did as Anurag said. He informed them to write a letter. I am very angry with you because you are not a good man. If you want to get married his son anywhere then you should not take money to my father advance. Now you said his son to get married as soon as me Because I don’t want to late now. I cannot wait. Otherwise, you return my money with full interest as soon as. I get marriage anywhere. Only your son is not an educated and handsome boy. My father will give money, and then anybody marries me. So you decide soon and inform my father what you want to do marry or back the money. Dear father, I am very sorry. I am guilty that I began to love Anurag unfortunately. I don’t know that you have taken promise other. But I love Anurag too much and cannot live without him. So I decide to die and go far from Anurag’s life. I will wait for him till next life. I don’t know you like me or not. But I respect your idea that you have a chance to decide myself. I believe in God too much and know God always do for well. I will not prevent also Anurag to get married, anybody. But I want to say that Anurag promises me to meet one time last. After getting both letters Anurag gets married one of them and began to live happily with his family. People respect him to his decision. Now Anurag is an engineer in Delhi. But, do you know? Who is his wife? Please decide yourself and enjoy this story. Thanks a lot to visit my site, please subscribe to this site for new updates. Anil company me bhut hi famous Larka tha, use company ke savi logo se mel -milap rahta tha, savi se 1 saman dosti thi. Na kisi se koi gila sikawa nahi tha. wah savi se payar se baat karta aur savi ko khush dekhna chahata tha, isiliye wo hamesa muskrata rahata tha aur dusro ko v muskurane par majbur kar dene wali baate karta, savi ke dil par wah isi ki wajah se raaj karta tha, chahe wo koi karki ho ya larka. Savi ke dil me jagah banane ka 1 aur v karan tha, Anil savi me sabse adhik pada likha aur gyan wala tha.hamesa apne gyan ke jaadu se sabko moh leta tha.handsome to tha hi, hamesa saph surhare kapare me rahata tha, bhale wo Amir na tha, likin jitna me tha wo kisi se kam naahi tha. Savi se wo haskar baate karta tha kyoki wah kisi se jalata Nahi tha,Wo savi pass jata aur savi se prem se baat karta tha. Jab larke aur larki 1 saath kaam karte hai to jahir si baat hai ki har kisi ke man me kisi ke liye chahat jarur hoti hai chahe wo kisi se bole ya nahi, 1 dusre se is baare me bataye ya nahi likin koi 1 to dil me basta hi hai, chahe wo laraka ho ya larki. Sapna jo bhut hi khubsurat larikiyo me se 1 thi, usaki age 19 year ki hogi,Hair stlyle me Gajab ki thi, usakse aange ke baal hamesha usake dono gallo ko chumata rhata rahta tha, Ankhe me Gajab ki kasis thi. Kamar patli aur haath bahut hi soft thi, hotho par hamesha muskan chahkati rahti thi.uski sarir me gajab ki phurti thi. Chulbuli Pari ki saman thi.Aisa koi nahi jo 1 baar use na dekhe le.God ne Usame anokha sa jaadu diya tha jo kisi ko v Dil 1 baar dekkhne par majbur karti thi. Aur Anil v avi 21 years ka hi tha.Anil ki khubsurti v Spana se kaam na tha. Kitni larkiya use dekhti aur Aahe bharti, Baate karna chahati, Aur usame 1 alag hi Knowledge ka jaadu tha jo kisi ko v Daat tale anguli daba dena par majbur kar deta tha. Sapna v Anil ko chahti thi, but wo v Anil se boli nahi thi.Sayad use v is baat ki dar tha ki wo savi larkiyo se baat karta hai,mujhe kahne par sayad inkar kar dega, but use dil se payar karti thi, isliye jab v mauka milta Anil ko help karti aur haskar baat karti. Anil ko v dhire - dhire aisa lagne laga tha ki wo sapna se payar karne laga hai aur 1 dusare ko na dekhne par kitni ghabrahat mahsus karte the. jab tak wo 1 dusare ko nahi dekh lete chain na ata tha. but ab v 1 dusare ke maan ki baat malum nahi hone ke karan confirm nahi the. Anil jab v koi baat kahata karne ko to wo savi kaamo ko chorakar pahle Anil ka kaam karti. 1 din ki baat hai ki Anil ko sar(head )me dard kar raha tha, usane sapna ko bola, sapna ye lo paise aur jakar dawa lete aao na,usane kaha thik hai mai avi 1 kaam karake aati hu aur jaati hu.. sayad wo paisa lena nahi chahati thi aur ye jatana v nahi chahati thi ki mai koi upkar kar rahi hu. Anil ko aaj pura yakin ho gaya tha ki wo use kitna chahati hai bt kuch nahi bola.Ab to wo dusare ke bina 1 pal v acha mahsus nahi karte, Ab jab kavi sapna se koi larka baat karta to Anil ko acchaa nahi lagta. but Anil use isake baare me nahi bola. 1 din ki baat hai ki Anil 1 larki se baat kar raha tha to wo boli, Jab aap humlogo se baat karte hai to sapna udas ho jati hai aur humlogo se ruth jaati hai, sayad wo aapse pyar karti hai bt aapse kahti nahi hai, kya aap usase payr nahi karte hai? Anil ko is baat ko yakin nahi ho raha tha ki jab wo kisi larki se baat karta hai to sapana ko achha nahi lagta. but aaj wo soch liya ki mai aaj jarur is baat ko usase puchuga ki ye baat sach hai ya nahi. Dono 1 dusare ko itna kab chane lage isake baare me kuch aur vi aapko batata chalu... huya yu tha ki 1 baar Anil ko 1 book bind karwani thi,jise wo company me lekar aya tha ki kisi friend ko de dega jisake bagal me bookbinding ka shop hoga. 1 larki ne boli thi mai bind karwa dungi, jab wo book dekhi to boli ki ye kisliye to Anil ne kaha ki ise bind karwana hai to boli mai karwa dungi mere bagal me hi hoti hai, to Anil ne use book de diya. Book ko padana usake liye important tha isliye use jaldi jarurat thi, but sapna ne use bind karwa kar apane paas rakh li thi aur de nahi rahi thi aur haskar bolti kal de dungi aur phir dusare din bolti mai bhul gai kal laakar de dungi is parkar wo bhut Anil ko tarpaya sayad wo payar ke karan hi tha, use trapane me maza aa raha tha, karib 1 weak tak wo aise hi karti rahi. 1 din wo boli mai aaj aapko book jarur lakar dungi kyoiki mai dipawali ki chutti me ghar ja rahi hu aur aapako book ki jarurat hogi.... Anil bola thik hai, but wo aaj v nahi lekar aayi. Wo boli aap mere room ke paas school par aa jana mai de dungi. Spana aur Anil ka room kuch dur par hi tha . isliye boli jab mai aapako phone karungi to aap road par school par aa jana. aap apana mobile no de do. Anil ne Apna no de diya. jab raat ke 8 baja to usane phone ki aa jao book lene. Anil ne road par gaya to kuch hi der me wo haath me book lekar musakurate huyi ayi(wo salwar suit me maano Pari si Najar aa rahi thi) aur boli , aapko tarpane me maza aa gaya. book paper me bind ki hui thi, wo boli ise room par hi open karna, Anil ne bola thik hai... ye usaka dil me payar banane ka sayad 1 bahna tha, but us book me kuch nahi tha. bt Anil sab kuch samajh gaya tha, bt use aisa laga ki avi aisa kuch samjana jald baji hoga. Ab phir dono company me mile to aankhe milte hi muskarne lagi. Anil ne phir pucha ki maan kyo nahi lag raha tha ghar par to wo haskar boli mujhe kya malum????????? Aapako pata nahi hai kya???? dono kavi kavi company me aate to raste me mil jate the kavi - kavi kyoki room dono ke paas me tha. Anil ne bola mujhe sab larkiye ne bataya hai ki jab mai aapse baat karti hu to tum udas ho jati ho. kya ye sach hai?? Sapna ne boli- aapko kya lagta hai??????? Anil ne bola jo nujhe lagta hai mai bol du to wo boli haa... TO Anil ne use bola,, tum yahi chahati ho ki mai bolu to lo mai tumse aaj aur avi bolata hu "I love you too much" "I Love you by heart" tum kya chahti ho ab mujhe nahi pata, ab tum par depend karta hai ki kya chahti ho?? mai ne apna baat bol diya ab jo karna hai wo tum par chorta hu ki tum kya sochati ho mere baare me...mai tumhe 24 hours ki time deta hu jo bolana hoga yes or no kaphi soch samjhakar bolana to wo boli thik hai mai kal aapko bata dungi. Anurag is a simple boy. His father is a farmer. Now Anurag passed the matric exam. He wanted to admit in college. So he goes to admit in college in town. He begins to study. He joined three coaching classes. So he needs 3000 rupees per month. He demands money on time and his father completes his wish on time. Anurag tough a girl who was the daughter of building’s master. Her name was Kiran. She read in class matric. She was a very beautiful girl. She spoke less. She took care of her study too much. So Anurag was happy with her. Also, Anurag was a simple and intelligent boy so he goes to read and after return back he closed his room and study carefully. Master and his wife were very happy with gentle behavior and began love as their son because they had no son. Kiran was the only daughter of them so they loved her too much and do as she says. On the other hand, Anurag’s fathers lend 100000 to maintain his study from his friend. In spite of this, he promises to get married his daughter Punam to Anurag. But he did never refer it with Anurag. So he wants to get married Anurag now because Putnam wants to marry as soon as. I am very angry with you because you are not a good man. If you want to get married his son anywhere then you should not take money to my father in advance. Now you said his son to get married as soon as me Because I don’t want to late now. I cannot wait. Otherwise, you return my money with full interest as soon as. I get marriage anywhere. Only your son is not an educated and handsome boy. My father will give money, and then anybody marries me. So you decide soon and inform my father what you want to do marry or back the money. Dear father, I am very sorry. I am guilty that I began to love Anurag unfortunately. I don’t know that you have taken promise other. But I love Anurag too much and cannot live without him. So I decide to die and go far from Anurag’s life. I will wait for him till next life. I don’t know you like me or not. But I respect your idea that you have a chance to decide my self. I believe in God too much and know God always do for well. I will not prevent also Anurag to get married, anybody. But I want to say that Anurag promises me to meet one time last. After getting both letters Anurag gets married one of them and began to live happily with his family. People respect him to his decision. Now Anurag is an engineer in Delhi. Anup aane class me top larko me gina jata tha. Wah padne me bhut tej tha. Baate bahut kam karta tha . har waqkt apane padai se related hi kuch activity karta. Is karan wah class me sabse abal tha. Manju v usi ke claasa me padti thi, wah kaphi sarmili larki thi. Wo v padne me achi thi .. wah sidhi apane ghar se aati aur padai karke wapas chali jati. Dhire dhire manju anup se payr karne lagi lekin wah usese kahane se darti thi. Wah isi soch me rahti ki mai kaya karu anup se baat karne ke liye. Yah sochkar wah kavi – kavi udas ho jati. Ek din manju akeli park me baithi kuch soch rahi thi tavi uski saheli Anjali aayi aur use udas dekkhar boli, tum aaj kal intani udas kyo rahti ho kuch batao ,mai madad kar sakti hu to. Manju kuch bolne se sarma rahi thi but anjali ke bar – bar kahane par v nahi mani to Manju ne apani man ke sari baat Anjali se bata di aur boli Please anjali kuch samajh me nahi aati mai kay karu, usase baat karne ke liye , anup to kisi se baat v nahi karta, mai darti hu ki wah kahi mujhe inkar na kar de. Lekin Anjali mai usase bhut payar karti hu. Mai uske bina nahi rahi sakti, mai kaya karu please help me. Anjali kuch der sochne ke baad boli, don’t worry dear. Mere paas 1 plan hai, agar tum kar pao to bolo. Manju ki aankhe chamak uti, boli jaldi batao mai kuch v karne ke taiayar hu. Chahe mujhe jaan v dena pare mai karungi. Anjali boli tab thik hai, Anup padne me tez hai aur wah padne wale ko bhahut cahata hai, isliye hum logo ko padana chahiye aur usase ange nikalana chahiye. Manju boli ye kaise ho saktia hai yaar. Wah kaphi tez hai hum logo se kaphi aange hai. Anjali boli are yaar tume utani padne ko mai nahi kah rahi hu bas agale college ke general knowledge competition exam me usase aange nikal ke dikha de bas dekho kaise baat karta hai, hame pura yakin hai ki jab tum usase aange nikal jaogi to use v malum ho gayegi ki usase v jyada padane wale hai is college me aur wah 1 bar jarur tumse baat karega. Mujhe pura yakin hai. Bas tum aisa kaar do is baar. Manju boli to thik hai is baar mai use jarur dikha dungi. Mai pyar ko pane ke liye kuch v karne ko taiyar hu. Mai aaj se hi padai me lag jaati hu. Phir kyat tha Manju apane payar ko pane ke liye g jaan se lag gai. Dhire – dhire exam ke din najdik aane lagi, manju ko apane par pura yakin ho gayi is baar mai kuch kaar ke dikha dungi. Chahe jo ho. Akhir exam ke din v aa gayi, exam huyi. Next day result nikalne wali thi. Manju ne savi swalo ka ans di thi aur use pura yakin ho gayi thi ki wah jarur is baar 1st aayegi. Agale din manju aur anjali done result sunane ke liye college aayi. Result aur prize ke liye stage banai gayi thi. College ke head master ne result batani suru ki.. savi ki sanse ataki huyi thi ki is baar kaoun baazi marne wali hai. Anjali ko 100 me se 99 aur Manju aur Anup ke same number 100 me 100 aaye the. Yah jankar Manju ki ankho me aansu aa gayi. Manju ki kamana puri huyi thi. But result me first prize kise di jaye iske liye Manju aur anup ko stage par bulayi gai. Dono ki darkan darak rahi thi. Manju soch rahi thi ab kya hoga, udar Anup ko kaphi surprise(achrya)huyi ki koi larki v mujhe chunoti de sakati. Anup ko 1st prize mili thi but wah man hi man Manju se haar gaya aisa use mahsus ho rahi thi. Isliye wah din aur raat bas manju ke bare me soch raha tha. Aur usne soch ki mai jarur manju se baat krunga ki use padne ki itni lagan(prenena )kaha se mili. Aur usne kaya kiya iske liye. Anup use thanks bolne ke liye college aaj kuch sabre hi jaane wala tha. Udar Manju ne Anjali se boli mai to wo v kiya jo tumane kahi thi but anup to kuch bola hi nahi . ab mai kaya karu. Anjali boli ab tumhe kuch nahi kahna hai ab jo kahana hai wo anup hi tumse kahega. Manju boli ye kaise ho sakta hai.. Anjali boli bas tum dekhate jao aange kya kaya hota hai. Wo done v aaj kuch pahle hi college me pahuch gai thi. Aur park me baithi baat kar rahi thi. Itne me Anup Apane prize haath me liye huye manju aur anjali ke paas aya aur hello bola. Anup ne manju se bola thansks Manju ki aapne itni mehant ki. Mai mehanti logo ko kaphi aadar karta hu. Aur mai ye apane 1st prize aapko dene aya hu mujhe aaj pahli baar laga ki mai jeet kar vi tumse haar gaya hu. Isliye ye prize mai aapako apni traph se deta hu. Plz inkar mat karna. Aur bas itna bata do ki aapko itani padne ki karna kya hai. Bas Anjali ko isi baat ki intejaar thi , bas kya tha Anjali ne Anup ko saari baat batai ki manju aapse bhut pyar karti hai aur apase baat karna chahti thi but wo kah nahi pa rahi thi,. Isliye maine use exam me 1st ane ki baat kahi thi jisase aap manju se baat karna pasand karege, bas kya tha manju ne aapko pane ke liye ye sab ki……. Manju anakhe jhukaye chup chap khari thi. Anup ne bola mujhe manju par naaz (garv )hai ki wah aisa mere liye ki hai. Mai promise karta hu mai manju se baat kruga aur mai v payr karne laga hu. Manju ne palke upar uthai to uske ankho me aassu aa gayi . Manju Anup ki bhaho se lipat gai aur I love You bol di. Manju ne kahi mai aapake bina nahi rah sakti mai apako pane ke liye kuch v karne ko taiyar hu.bas tumhe nahi khona chahti. Anup ne bola bas ek sart (condition )hai ki tum isi traha man laga ke padti rahogi. Manju ne apani sar hila ke sahmati jata di. Anup v Manju ko gale se laga liya aur I love you too much bol hi diya. Anjali ko dono ko payar dekhar khusi ki aansu aa gai. Aaj subaha se hi anurag ko chain nahi aa rahi thi,qyki aaj use apane bari bahan ke yaha ssaadi me jana tha. waha binita ki saadi thi, jo anuarag se karib 5 saal bari thi. binita aur anurag ki love v kuch ajib thi. binita apane se 5 saal chota hone ke baad v anurag se bhut payar karti thi,lekin anurag age me chota tha isliye use is payr ka ahsas na tha.ye sab tab huya tha jan binita anurag ke ghar aayi thi. aaj usi ki saadi thi isliye anurag ki jaane ke jaldi thi. Apane pappa ke saath wah ja raha tha. man me apane biti yaado ko yaad karte na jaane kab 6 gante ki saphar kat gaya malum v na chala. Ab anurag v 15 saal ka ho chuka tha, isliye use v ab saadi ka matalb samajh me aa gayi thi. sab se milane ke baad jab binita se mila to use ajab hi mahsus ho raha tha. Aaj kya binita lag rahi thi, bhut hi sundar but anurag to aaj v binita se chota hi tha, isiliye use thori sarm v mahsus ho rahi thi.Anurag aur binita kuch baate ki aur phir Anurag yatra se thake hone ke karan so gaya. Saadi ke liye barat dusare din hi aane wali thi. isliye binita busy ho gayi thi aur anurag se baate karne ka mauka nahi mila. Anurag v saadi ke kaam me hatha batana suru kar diya.Jab barat aayi to Anurag ne sabse pahale binita ki hone wale larake ko dekha, use dekhar kuch jalan si huyi,likin aurag kar v kya sakta tha, sayad anurag ko aisa laga ke binita ko wah v chahaen laga tha. lekin ab kya????????? Haa to asli payar ki kahani ab aapako batate hai, ye to apako samjhene ke liye kuch bata diya tha ki kaun kya hia. ha to baat aisi huyi ki binita ki saadi ke 4 din baad hi binita ke bhai ke v saadi hone wali thi jo binita se bare the, binita ke saadi ke din hi unka tilak ki rasam huyi thi, isliye binita apane sasural dusre din hi aane wali thi. Jab wah aadmi nahi mana aur anurag ko jabrdasti le gaya to Anurag dekhar chakit rah gaya. binita ke saath 1 bhut hi cute girl aayi thi,uski age karib 14 saal ki hogi, baal kandhe tak hi thi, uski hair cutting uske chere ki char chand bada di thi, gori rang, jins aur T-shirt , aur high heel ki sandal me wah koi pari ke tarah lag rahi thi. anurag ko aisa laga kahi wahi din me sapna to nahi dekh raha hai. use apane aap par biswash nahi ho raha tha.wah biniita ko bhabhi bol rahi to isase saph jahir hoti hai ki binita ki pati ki choti bahan thi. Anurag wapas aakar kitab padne laga, likin ab uska man kitab me kaha lag raha tha. ab to bas us hasina ke chere hi baar - baar uske dimag me ghum raha tha- kya lag rahi thi uaski har part bhagwan ne phurasat se banya tha. Isaka matalb Anurag ko pahli najar me kuch - kuch hone laga tha, kisi ne sach hi kaha hai ki payar 1 najar me ho jaati hai, sayad Anurag ko v yahi ho gaya tha. Anurag kisi parkar usi ke baare me sochate - sochate so gaya, use malum v huya ki soya hai ya jag raha hai. Saam ki 6 baje usene uta. Anurag uthkar sanan kiya usake baad wah apne didi mini ne use kaane ke liye bulayi. Anurah ne khana khaya but usaki nigahe sayad usi larki ko dund rahi thi, par use dekh na saka. Anurag ko binita ki maa ne bajar jane ke liye bulai, biniti ki choti bahan silpi ki tabbiyat kaharb thi. Anurag ko 1 nayai saykil mili huyi thi aur uska kaam kuch urgent parne par bajar jakar urgent saman lane ka tha, Anurag ko v isame maja ata tha. use saykil chalane me bhut man lagta tha. bas kisi ke kahene ki der rahti thi, dekhte dekhate hi saman unka lekar bajar se anurag lekar chala ata tha. Aaj hladi ka rasm tha isliye subah se log busy tha. Anurag v kaha khali rahne wala tha.Aaj to wah aur hi busy tha.kavi wah market jata kavi ghar. jab Anurag gahr ata to uski nigaye bas usi ko dundne lagti , kavi kavi wah mil v jati parntu kuch nahi bol pata. bas use dekhar khus ho jata, use dekhte hi aurag ke saari thakan dur ho jati aur wah dugne sakti mahsus karne lagta.1 baar aisa huya ki anurag saam ko gay(cow )ko pani pila raha tha. pani bharne ke liye ghar se hi pani le ga raha tha. achanak hi wah chulabuli andaj me aayi aur Anuraag pani bhar hi raha tha to wah gilas me pani lekar chali gai. anurag ko bhut acha laga. duasri baar v jan auraga pani bhar raha tha to phir wo aayi aur is baar wah ruk gai sayad wah anurag ko hatane ki partiksha(wait) kar rahi thi. Anurag ne is baar bol hi diya. AAp pani le lo koi baat nahi. to wah pani le li aur nagare milakar kuch sarmati huyi chali gai. Anurag ko isaki ada bhut hi acha laga. aur wah uaski is sadgi bhari ada par phida ho gaya. Saam ki 7 baje hogi Anurag market se aakar bahar lagai huyi bed par leta huya tha. tavi uski didi mini aayi aur bolo anurag tumhe binita g bula rahi hai milane ke liye. Anurag ki dil dak se karke rah gaya. wah sochne laga kisa lagega usase milkar,kya kahega, kaise milega. lekin jab bulayi to wah milna hi acha samjha. Anurag jab ghar me gaya to kya dekhata hai ki binita , usake pati aur wahi larki waha baithi huyi hai.Anurag kuch sarma raha tha. usane jakar binita ki pati ko pranam kiya, binita ko waha pranam karna chaha parntu wah anurag ke haath pakar li aur boli nahi Anurag g haath milna hi acha rahega. Anurag ne muskurakar bola jo aap acha samjhe. Binita ne Anurag ko apane pati se parichay karwayi aur us larki se v. usane ne batai ye hamare bari bhaibi ki bare bhai Anurag hai aur Anurag se boli ye hamri chotti payari nanad (simmi) hai. Achank simmi boli inase to mai kai baar din me mil chuki hi lekin ye to kavi mujse bole nahi ----Aur wah haat milane ke liye Anurag se helli boli. Anurag ne v haath milay aur hi bola, usane bola mai aapako jaane baigar kaise baat kar sakte hai. Ab binita g ne jab ham dusre se milawaa di hai to ab baata karenga na.Binita ne Anurag se bhaut baate ke aur mithaiya v khilayi. kuch der baat karne ke baad Aurag ko kisi kaam se waha se jana para. Anurag jab raat me sone laga to bas uski mitthi muskan hi samne dikhane laga. bas raat bhar usi ke baare me sochta raha aur na jane kab so gaya. jab susbah huyi to karib 7 baje ka samaya tha anurah jab datun kar raha tavi simmi aayi aur boli, hi !! aap kaha ghum rahe hai mai kab se aap ko dundh rahi hu.mujhe aapase baat karne me acha lagta hai aur mere man nahi lag raha hai. anurag ne bola mujhe v aap se baat karne ka man kar raha tha parantu mujhe laga ki sayad aapko acha na lage bas isilye-- simmi bolo nahi aisa kuch nahi hai mujhe to kewal aap hi yaha acha dikh rahe baki to sab ke sab kamine hai, jidhar v ja rahi hu udar hi log meri haat pakar kar baate karne lag rahe aur mujeh ye bilkul pasand nahi hai. mai to un logo se paresan ho gai hu. mujhe samajh me nahi aa raha hai ki mai kaya karu. Anurag ne bola chinta ki koi baat nahi nahi aap mere saath rahiye koi kuch nahi bolega. chliye hum log kahi baithte hai. dono 1 pul par baithte hai aur apas me baat karne lagte hai. Baat kewal padai se related hi hoti thi aur kya interest hai iske baare me. baat - baat me paata chala ki dono 1 hi class me 8 me padte the.we 1 dusre se baate karte- karte na jane kaha kho jaate the, jab koi relativie dekhate to kuch bole baigar na jaane man me kya sochkar chale jaate. likin simmi ki isaki koi parwah nahi thi. kyoki wah sahar ki rahne wali thi, Anurag apane gaon (village) me rahta tha. aur wahi padta tha. kai baar anurag ne use kaha v ki sayad hum dono ki baat karte dekhkar log kuch aur hi na samajh bithe, lekin simi ne boli log kya sochte hai wo jane , bas hum dono koi bura to nahi kar rahe na. isi prakar na jaane kya -kya baate hoti aur kab din kat jata malum hi nahi chlata jab v samay milta simmi Anurag ke paas chali aati. Saam ki samaya tha. Garmi kaaphi lag rahi thi, gaon me bijali nahi thi, machar v kaat raha tha. anurag ghar ke bahar lagai gai chauki (bed) par aise hi leta tha. aur maichar katane ki wajah se wah gamcha se pair ko dake huye tha. Achanka simmi ghar se nikali aur anurag ke paas akar boli miujhe bhut garmi aur machar kat rahi hai. mai kaya kaaru aap to yaha maze se lete huye hai mai v aapake saath yahi letungi.aur kahate huye wah v gamach me pair karke so let gai. aur baate karne lagi. waha par aur v log bait ke baate kar rahe the. Anurag ne simmi se bola yaha ke log kya sochnge. aapako yaha mere saath nahhi sona chahiye. ispar simmi boli mujhe koi fark nahi parta. Baato hi baato me dono 1 dusre ke future palanning ke baare me ppuchne lage. Anurag ne pucha aap kya banana chahati ho. aapko kya acha lagta hai. Simmi ne boli pahale aap batao. ispar Anurag ne bola mai to Air force piolet me join karna chahata hu, mujhe apanii bharat maa ki sewa karna achcha lagta hai, mujhe Airoplane urane ka bhut saukh hai, ab aap batao- simmi ne boli- mujhe acting me maza ata hai mai actress banna chahati hu. Anup ne bola aap kaisa larka se saadi karna chahogi to wo boli mujhe to docter se saadi karni hai jo mujhe hamesa khyal kare. simmi ne v puchi to anurag ne bataya mai 1 bilkul sidhi saadi larki se saaadi karunga jo samjhadar ho ,hamare pariwar ko soche samjhe aur payar ke saath savi ke saath rahe.bas aur v bahut saari baate huyi. Lekin undono ke baato me bhahut hi antar thi. unkae sapne aur choice bilkul alag thi phir na jaane kyo un dono me kya tha jo 1 dusre me ruch le rahe the.1 pal v wo 1 dusre ke bina nahi rah sakte the.jab v dekho dono 1 dusre ke saath chipke rahte the. na jaane kyo. aaj Anurag ko market jana tha. usene simmi se bola mere saath market chalogi to simmi boli haa kab chalana hai, mujhe to isi baat ki wait kar rahi thi kab hamdono market chale. lekin mujhe bhabhi se puchana parega. jab usane abpani bhabhi binita se puchi to wo boli mai v aaj market chalingi saath me chalenge hum savi..
simmi ka chehara utar si gai. uasen anurag se akar batai to anurag ne bola koi baat nahi, tum unke saath aana mujhe jaruri kaam se avi jana hai. Anurag akele hi market chala gaya. Anurag jab saam ko kisi aur kaam se dubra market gaya to raaste me simmi, binita aur useke husband saath me the. isliye anurag kuch bolana acha na samjha, lekin simmi ne boli mai aapke saath hi chalungi. sanjay ko subaha se hi chain nahi aa rahi thi, kyoki aaj use apne gf se milane jana tha.kitna v jaldi karna chata tha lekin intazar ki ghari itani lambi hoti hai ye aaj use malum ho raha tha.1 pal maano use 1 yug ke saman bit raha tha. paper liya taki usame samay kat jaye lekin use aaj paper me man thori si v nahi lag rahi thi. Bas use to sara din 1-1 jamane ki tarah bit rahi thi, jo usne riya ke saath kate the. Haa to us din exam ka din tha. jab wo dono kisi compatation ke exam me mile the. sanjay 1 samnaya faimily se belong karta tha isliye wo apane bhai ke paas ruk- kar exam diya tha. paper 3 dino ki thi, Riya aur sanjay pas ke hi sit par baithe the, Phale din shuru me riya ne sanjay se kuch puch thi to sanjay ne use bataya tha. chutti hone par wo dono aapas me mile aur kuch baat ki aur tay ki larki ko cheeting ke liye answer lanna asan hoti , isilye sanjay ne pariksha me question answer guess ki aur dono ki kismatn achi thi exam ache se ho gayi. exam ke baad ab dono apane ghar jane ke liye tayar the, us din to shaam ho gayi thi isliye wo dono kisi hotel me gaye aur khana khaye aur riya ne kuch shopping ki. dono me bahut si baate huyi , jate wakt dono 1 dusre ka mobile no excange kar li . sanjay apane ghar aur riya apane ghar chli gai. Ab dono me mobile par baate hone lagi, baat -baat me hi karib 2 saal nikal gayi, un dono ka paata v na chala. sanjay riya ko payar karne laga.par ejahar na kar paya tha. facebook par chatting hoti email karte aur 1 2sre me bahut si baat karte , lekin sanjay ne apni payar ka ejaahar nahi kar paye tha. use aisa lagta ki ye v koi kahen ki baat hai. riya ki baato se use safh pata chalta tha ki wo v sanjay se bahut payar karti hai. sanjay ko pura yakin tha ki riya na kah hi nahi sakti hai, isi bishwas ko lekar aaj tak jiya tha. isliye aaj itane lambe intejar ke baad wo aaj usase milne dopahar 2 baje jaane wala tha, Riya delhi aane wali thi. wo apani cusion ke saadi me jaane wali thi , aur uski train panjab ke liye shaam 7 baje ki thi, isilye sanjay ne soch ki isase achha awasar aur koi ho hi nahi sakta apani payar ki ejahar karne ki, soch aaj riya ke aane ke baad hotel me khana khakar kisi park me baithkar dil ki saari baate kah dalenge aur usase shaadi karane ki nirnaya v suna dega. yahi savi khaylo me duba raha aur sochta raha ki kab 1 baje ki wo station par use receive karne chala jaye, isi karan aaj use charo taraf ki mausam bahut hi suhawana lag raha raha tha. inatajar me kisi tarah 1 bajene ke intajar na kar saka aur socha hame jane me thora wakt to lagega hi isilye hame thora pahle hi chalana chiye ye sochkar wo chal diya station ki taraf. kya hawaye chal rahi rahi thi , mausam mahka- 2 lag raha tha.jaldi jaldi me sanjy 1 ghante pahle hi station phuch chuka tha, kisi parkar apane man ko manane ke liye bite huye baate ko yaad karke romantic ho raha tha. aaj use 2 saalo ki lambi judai ke baad milane ki asim khusi ki kalpana me khoye huye tha. sanjay riya se milakar bahut khush huya, agar station na hota t sayad lipat jaane ka man huya tha sanjay ko but wo kisi tarah apane aap ko control kiya aur usasae haat me apane haath tham liya, riya v usase milkar maano aisi khush ho rahi the jaise kai saal ke baad maa apne bete se mili ho. taxi par baithe ke baad sanjay ne soch baat kaha se suru ki jaaye use samjh me nahi aa rahi thi, dopahar ke samaya hone ke karan loo chal rahi thi aur garmi bahut ho rahi thi, riya apani gaalo par aati huyi baalo ko baar - baar hata rahi thi but hawa tej hone ke karan phir baal wahi aa ja rahi thi, jo sanjay ko bhahut acha lag raha tha, sanjay ne bole aaj kal thori moti ho gayi ho, riye ne haskar boli tum v na !!!!!!!!!! riya koi achi si mall me cahalne ke liye sanjay se boli , riya ne boli hamari cusion ke shaadi hai uske liye sharee khardni hai. so riye ne bahut saari sharee dekhane ke baad kairb 1 ghante ke baad 2 sharee select ki, sanjay ne paisa nikal kar counter par diya to riya ne use boli ki iski kya jarurat hai . rahne v do mai kharid lungi par sanjay ne use nahi dene diya, riya ne v kuch mana karke phir kuch na boli aur sharee le li. nikalte samaay use ladies perse par najar par gai to usane boli ise le lete hai kyo sanjay sister ko gift me dene ke liye ho gayigi.sanjay ne bola han - han kyo nahi le lo , usne 1 badiya si branded perse choose ki. uska paisa v sanjay ne dene ke liye nakal kar dene laga to riya boli ye kya gift to hame kharidne do plz. sanjay ne bola ise meri taraf se gift samajh lo jaanu, riya ki otho par 1 hansi thi. Ab perse khali hogi to acha nahi lagega isliye usne 1 gift corner par gayi aur 2 achi quality wali perfume kharidi aur 3 lipstic v usne li, iske alawe churiya aur na jaane kya kya. iska v paisa sanjay ko dena para, kyoki is baar riya ne na to use mana ki aur na hi apani perse nikali thi is baar. sanjay ne bola chalo ab kisi hotel me khana kate hai aur park me chalakar kuch araam karte hai kyoki tum v thak hi chuki hogi aur bhukh v lag chuki hogi, sanjay ne socha tha ki is baar riya kuch nahi bolegi aur park me chalegi , park me cahlakar apani kalpna ki huyi saari baate bata dunga, aur shaadi ke baare me v kah hi dunga ki mere ghar ke savi log taiyar hai bas tumhe haa kahane ki der hai . lekin sanjay ki sari manokamana par pani phir gaya , riya boli sanjay please cholo na kisi suitcase ki dukan par kyoki itani saman haath me kaisi ja payigi. sanjay riya ki baato ko kaise nahi maan sakta tha, wo riya ko lekar dukan par le gaya. riya ne 1 bhahut hi sandar aur costly suitcase pasand ki , sanjay ne is baar v paisa dene ke liye perse nikala to riya ne boli sanjay tum v kahoge ki riy v kaisi larki paise nahi deti isliye tum paise na do mai hi de deti hu, sanjay ne bola nahi - nahi riya ye tum kay kah rahi ho , aisa to mai soch v nahi sakta hu akhir maine 2 saal me tumhe kya kharid kar diya hai, jo mujhe aisa lagega. ispar riya ne bola , lagata aaj kal tumari salary achi -khasi mil raha hai. mujhe lagta hi tha ki tum 1 na 1 din kuch karoge, you are so sweet boy. i like you too much dear. sanjay ko uski baato se aisa malum huya ki mai ne jo socha tha riya ke baare me usese v badkar hai kitna mere baare me sochati hai, chalo maine pahli baar kuch kharch hi kar diya to kya jata hai akhir hum payar v to karte hai. isliye hamare v kuch responsibility banti hai. riya ne phir boli chalo na sanjay apane liye 1 suit kharid leti hu shaadi me pahnane ke liye, mai jaldi - jaldi mai suit v chor di ghar par, ab kya pahnugi shaadi par. sanjay ne socha maine to riya ke liye kuch karida hi nahi , isliye wo isbar v paisa wo hi diya riya ne mana v kiya lekin sanjay ne bola nahi itani din ke baad mili ho to kuch to tumare liye kharidana hi parega na. riya ne boli tum mere kitna khayal rhakhate ho,you are so great sweet heart,mai yah mulakat apane jindgi me kavi vi nahi bhula paungi. sanjay ne bola ye v koi choti si baat ke liye itni bari tarif karni ye tumare masumiyat ki pahchan hai ki tum mujhse kitana chahati ho.!! shopping karte- karte 5 baj gaayi thi, jab sanjay ne riya ko samay bataya to wo bilkul jaldi me ho gai aur boli oh god! 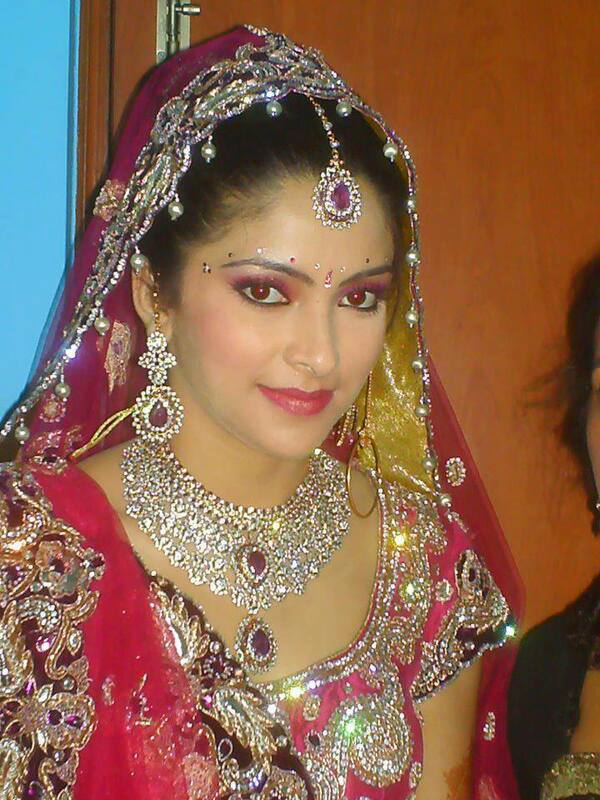 mujhe avi to beauty parlor v jana hai, aur jaldi si 1 beauty parlor ke shop ke taraf badi. karib 1/2 hour ke baad wo beauty room se nikali, uske rup ki sundarta dekha kar sanjay to 1 pal ke liye apane - aap par biswas hi nahi kaar paya ki wo itani sunder pari jaisi larki ka boyfriend hai aur shaadi karne wala hai. riya ke chere par 1 alag kism ke hi muskan thi, sanjay ko boli kaisi dikh rahi hu jaanu, sanjay ke paas riya ke tarif ke words v na tha, bas itna hi kaha ki tumari jaisi larki sayad bhagwan ne kavi aur banya hi nahi !!!!!! riya apane aap ko dehi aur boli chal hat jhuthe, nuaghty boy. tarif ki v 1 sima hoti hai, aur paise dene ke liye apne parse nikalne lagi, is baar sanjay ne kuch nahi bola kyoki uske paas ab kewal 2500 rs hi bach tha 35000 me se, soch hotel me abi kaana v to hai. lekin ye kya riya eka - ek thithak si gayi aur uske chere par 1 udasi ki baadal cha gayi, chehra ka rang utar sa gaya,sanajay ne bola kya huya riya, riya boli mere pas to 1500 rs hi hai kya tumare pass 500 rs hai. sanjay ne turant apane paas se beauty parlor ki 2000 rs de diya. riya boli thank you very much sanjay.agar tum na hote to mai to ---!!!!! sanjay bola mention not , you are welcome. sanajy jab pani ke botal leke aya to riya se 1 ajanbi aadami se baat karte dekh kar wo ruk gaya aur sochne laga riya achank satation par kisase baate karne lagi, is baat ke janane ke liye ki aakhir ye kauon ho sakta hai ,thore dur par rukar sunane laga ki ye log kya baat kar rahe hai. Riya se us ajanabi bol raha tha,-- riya jo avi paani lene ke liye gaya wo kaoun hai, Riya ne use bataya tha ki "" are koi nahi wo mere uncle ke room ke bagal ke unti ka beta hai, bechara uncle ke kahne par mujhe station chor-ne ke liye chala aaya hai, bechare mere - piche -piche kuli ki tarah saman liye kab se phir raha hai, usiki halat 1 kutte ke saman ho gayi hai, sayad jaate samaya use kuch paisa v dena parega. "uncle v paresaan kar diya is ullu ko saath bhej-kar." us aadami ne bola beachare ko kuch paisa de dena bhaut thak gaya hoga intan saman lane me. "Riya boli haa use to dena hi parega nahi to bolega ki kis kanjush larki ka pala par gaya hu" by the way Tum kis coach me ho? to wo aadmi bola- mai tumare hi bagal wali coach me hu agar kuch jarurt pare to aa jaana. itna kahakar by - by bolakar chal diya,""
Anup ki bare bhai ki saadi thi, bahut dhum dam se barat ki taiyari chal rahi thi. barat me dance program hone wali thi ,dance program ki chrcha agal- bagal ki gaawo me fail chuki thi, Anup ki bhaiya ki job airforce me huyi thi isliye sare logo me ye charcha thi ki dahej me bhut paisa mila hai to dance program v mast hogi. isliye barat jane ke liye savi me umang aur ulash bhari huyi thi. chahe bachhe ho ya jawan bude v bekarar the. Akhir barat ki din v aa hi gaya.dance program ki taiyar ho chuki thi. bas barat phuchne ki der thi, dance program ki wajah se barat v 8 baje hi pahuch chuki thi. dance ki manch saj chuki thi. program me total 10 girls thi isame kuch ki saadi ho gai thi kuch ki saadi nahi huyi thi , uanki age karib 18-21 years ki hogi. dance program shuru gai. dance me jabrdast item dekhar sab jhumne lage. jabrdast ki item song ho rahi thi, bache bude jawan taliya pit pit kar maze le rahe the.savi gane ki pharmaish karte aur paise dete, dance program joro par thi. savi masti ki sagar me jhum rahe the. nachne wali me se 1 larki bhut hi hasin thi usaki age 21 ki hogi ,, usaki khubsurti ki diwane saare ho gaye the, wah kaphi beautiful and charming thi,, dance v lajbab kar rahi thi, kya mast item hai sab ke muh se bas yahi nikal rarhi thi.. Pate ki baat ye thi ki us dancer girl ki naam dimmpal thi aur jis larki ki saadi ho rahi thi usaka naam v sanyog se dimmapal hi tha. is karan larke aur aur comment kar rahe the aur baar baar dimmpal ki dance karne ke liye hi paise de rahe the, dusri dancer aati to savi chilaa -chilaa kar dimmpal ko aane ke liye bolte aur gandi gandi comment karte-- bolte dimmpal darling ko bulao, mast wali item girl dimmpal ko bulao kya maal hai hai- aur na jaane kay -kya gandi comment karte. ye savi na larke wale ko accha lag raha tha na larki wale ko, jab jab satge par dimmapl naam announce hoti tab -tab dono ki sar sarm se jhuk jati, lekin gaw ke lofar kaha manane wale the.wo to bas maze lene me the.aur janbhujakar jala rahe the. Ye baat Anup ko sochane par majbur kar rahi thi ki akhir kyo dimmpal naam se larke wale aur larki wale ko sarm ho rahi rahi hai..
akhir is dimmpal ko banaya kisane, kya is dancer dimmpal ek ijatdar khandan ki trah nahi ho sakti,aakhir ye v ek larki hai, ise v to jine ka hak hai, par kyo aisa hota hai, kay isame kahi na kahi hamare is jhuti samaj ki hi to den hai. Dimpal ne Anup se boli, aap kaun ho aur chahate kya ho, jiske liye aaye ho wo kar ke chale jao. Anup ne kaha thik hai mai yaha aane ka paisa diya hu, mai chala gauga, but tum batao kya tumare man is duniya me lagta hai, kya tumare man me kavi ye nahi aata ki tum vi kisi ki wife bano aur apani marzi ki zindgi ziye,Mai taiyar hu bas tumari haa kahane ki der hai.Anup ne bataya ki jis din tum mere bhai ke saadi me dance karne gai thi us din hi maine soch liya tha ki mai tumse hi saadi karunga, mere bhabhi ka naam v dimpal hi hai,Aakhir tum v unke jaisi ek larki ho, tumhe v jine ka hak hai, tum v saari chiz kar sakti ho jo wo karti hai to aakhir problem kya hai. Dimpal ne ne use samjhane ki kosis ki meri jaisi nachne wali badnaam larki ko koi samaj me bahu banayega, aap bekar ke apani jindagi me tabahi lana chahte ho, isliye aap yaha se chale jao to hi acha hoga. Anup ne bola nahi dimpal mai yahi riwaz badlana chahata hu,mai tumse bhut payar karta hu, mai tumhe liye bina nahi gaunga chahe jo ho aur itana kahakar bed par so gaya, Dipal ki dimag me na jane kya kya hone laga aur wo bas Anup ko dekhe ja rahi thi, Aur achank wo ro pari aur baith gai, anup ne use uthane ke liye gaya to wo usase lipat kar phut-phut kar rone lagi aur boli, Anup aap ke family wale mujhe kavi v apana nahi banyege so aap chale jao please. Anup ne bola bas dimpal tumhari ye ansu me tumre pap dhul gaye hai aur tum mere liye pabitra ho. mai ab tumhe ab yaha se lekar hi Jaunga.Aur Anup ne dimpal ko lekar jakar coat marriage kar li. Share your Real life Love Story with me. Mail here- I will Publish with your name.